I am Hammad Zahid, Content Manager of Sporticos.com and a big fan of your site. I was wondering if you’d be interested in link & banner exchange with us. Please let me know what you think. Also if there is any other way you could help us out here in being more efficient by giving us a shout out on twitter or by giving us a citation on any of your articles with something similiar that we have written about that will he huge for us and and will surely do wonders for our work here. I really love the work you have been doing and helping us out a bit will work wonders in our efforts to become an influencer like your website. Ofcourse i will do the same and even put up an image link with your logo if you would provide me with the code snippet or we would gladly link back on any of our posts that we write with a citation back to you. Thankyou for taking the time to hear me out. The best thing to do is to write an article for our site about Arsenal as a guest writer from arsedevils. At the bottom of the article we can then put up your details. We will then also add you to the blogroll… What do you think? I think its an excellent idea and I will get back to you immediately with the post once completed. Kindly share the mail id where I can send it. I actually did not notice your reply here so extremely sorry about the delay in getting back to you. my name is Jan, 9 years old, and I’m a big fan of Denis Bergkamp . I can send you 10 Euros and you me autograph Denis Bergkamp ? Please help me. Thank you very much and I’m sorry that. I can send you 10€ and you me autograph Denis Bergkamp ? 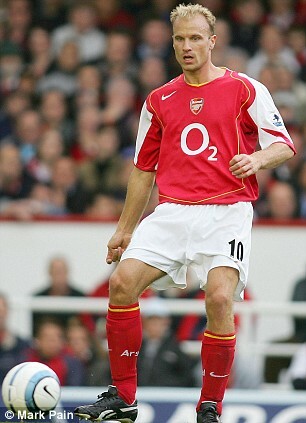 Hi Jan, sorry we do not have direct contact with Dennis Bergkamp, so I cannot send you an autograph.